This great collection of poems about Ancient Egypt for kids, was written in 2010 by British children's writer Paul Perro. They are educational, but fun too. 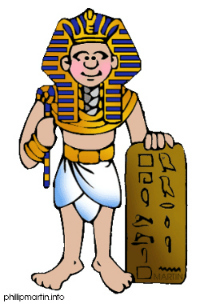 Ancient Egypt was one of the first ever great civilizations - it came before the Ancient Greeks and the Romans. In this collection of short poems, Paul Perro celebrates them and their achievements in a way that is both fun and educational. 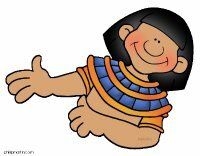 When you have finished reading the poems, please scroll down a little further to find some fun facts about Ancient Egypt. We hope that these will help you continue the conversation with your child. You really have to admire us. We were the world's top nation. You can still find them there. Like Ra, god of the sun. 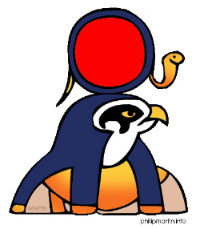 And the king of the gods, Amun. There were many through the years. Starting in the next verse. Or so it's often reckoned. With lots of different mothers. A hundred sisters and brothers? There was a lady pharaoh. Which, at the time, seemed weird. She stuck on a fake beard. He died too young, too soon. She picked a fight with Rome. Egypt is a country in north Africa. The ancient Egyptians were the people who lived there thousands of years ago. The Ancient Egyptians built their farms, towns and cities along a river called the Nile. The Nile flooded every year, which made the soil good for growing fruits and vegetables. Most Ancient Egyptians lived in houses made from dried mud, painted white, with small windows. Their kings were called pharaohs. They were very rich and powerful. The Ancient Egyptians believed in lots of different gods and goddesses. Some of these gods had animals' heads. When an important person like a pharaoh died, to stop the body rotting they dried it out, wrapped it in bandages, and put it in a coffin. This is called making a mummy. 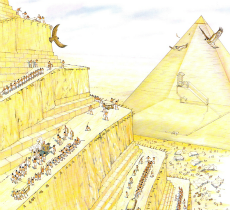 Some pharaohs were buried inside enormous stone pyramids along with their treasure. Even though they were built thousands of years ago, some of these pyramids can still be seen in Egypt today. The civilization of ancient Egypt lasted for more than 3000 years.